Author: Schogt, Philibert Set In . . .
Joop Daalder, Dutch immigrant, has been an outsider from the first. Raised in a family of intellectuals and musicians, for which food was of no interest, he developed his taste buds on the sly, finding his vocation and true happiness as an apprentice to master-chocolatier Sorel in France. Our story begins years later, with Joop a long-time, celebrated chocolatier in Toronto. Then a super-deli is built next to his shop where three trendy "chocolatiers" steal his clients. The last straw is when the deli's car park is expanded and his shop has to be destroyed. Joop fights against it, alienating his wife and incurring the mockery of his son. 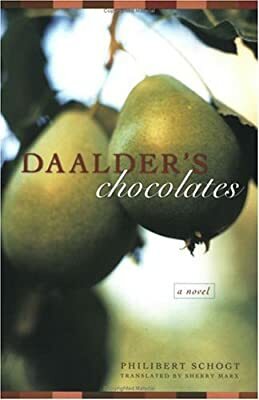 In his search for perfection, Daalder's Chocolates is the fascinating tale of the bittersweet life of a real connoisseur.